A barrel of West Texas Intermediate, the North American oil benchmark commonly known as WTI, was changing hands as high as $72.83 at one point on Tuesday. Although it slumped slightly lower on Wednesday, that was the highest price for WTI crude since November 2014. Supply concerns in Venezuela and Iran have been overhanging the market for months, driving prices higher. Then late Tuesday the oil-producing cartel known as OPEC suggested it may soon turn on the spigots a little, after curbing its supply for the better part of the past year to boost prices. The notoriously fractious cartel has been uncharacteristically collaborative of late, as OPEC and Russia had agreed to curb their collective output by about 1.8 million barrels per day until the end of 2018. Last month, the cartel reported 166 per cent compliance to its own cut targets — meaning it has been pumping even less oil than it had planned to. 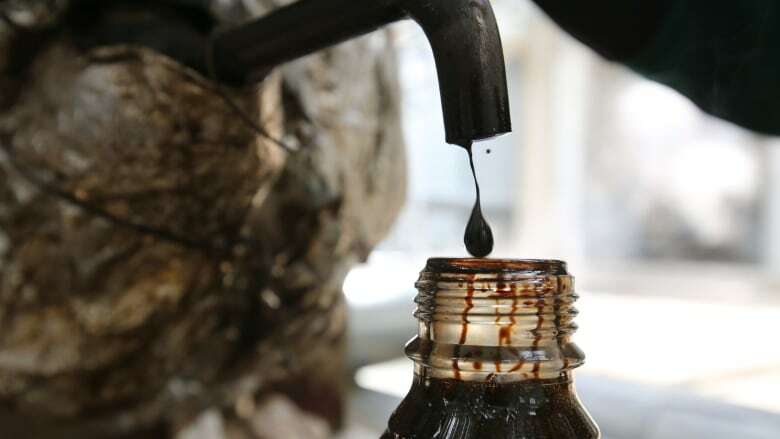 But speaking to a Reuters reporter on Tuesday, one unnamed OPEC source said the group is considering lifting those limits sooner than anticipated, in part because of the rising price of oil. While WTI was briefly at $72 US, Canadian oil companies have also seen their prices rise. The blend of oil from Alberta's oilsands is known as Western Canada Select and it, too, has risen to a more than three-year high, almost touching $58 U.S. on Tuesday. Higher oil prices are doubly helpful for Canadian producers, because they are priced in U.S. dollars, while Canadian companies book most of their expenses in Canadian dollars. In Canadian terms, WTI is currently trading as high as $91 a barrel, Bank of Montreal economist Doug Porter noted on Tuesday. "That's up 50 per cent from just eight months ago." In Canadian dollar terms, the price of WTI is now where it was, on average, during what Porter called the "go-go years for oil prices," between 2007 and 2014. "The lack of a currency response means that Canadian consumers are feeling the full impact of higher oil prices," he said.